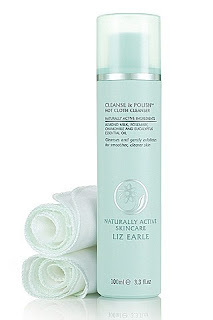 Bargain Alert - Liz Earle Cleanse & Polish only £9.50 ! To celebrate the 15th Anniversary of Liz Earle's cult beauty classic - Cleanser & Polish Hot Cloth Cleanser for one day only you can purchase the award-winning cleanser for it's original launch price of £9.50, saving over 25% off the normal retail price of £13! You can purchase it at this special price online http://www.lizearle.com/ on Tuesday 15th June. I shall be first in the queue, will you be joining me?